This past weekend was the ABY Convention, an annual gathering of youth from churches across New York State. It has a little bit of everything you’d hope for and expect from a weekend youth convention: new experiences, laughter, games, fun, food, loud music, late nights, too little sleep, new friendships, times of prayer, spirit-led speaker, beautiful times of worship… a time of communion with God. It is a privilege to work with youth and their leaders and so humbling to be afforded the chance to watch them discover their inner strengths and walk along side during times of deepest struggles. This weekend we spent focused on God through our theme “Never Alone.” The weekend may be done but the theme still (loudly) echoes in my mind. 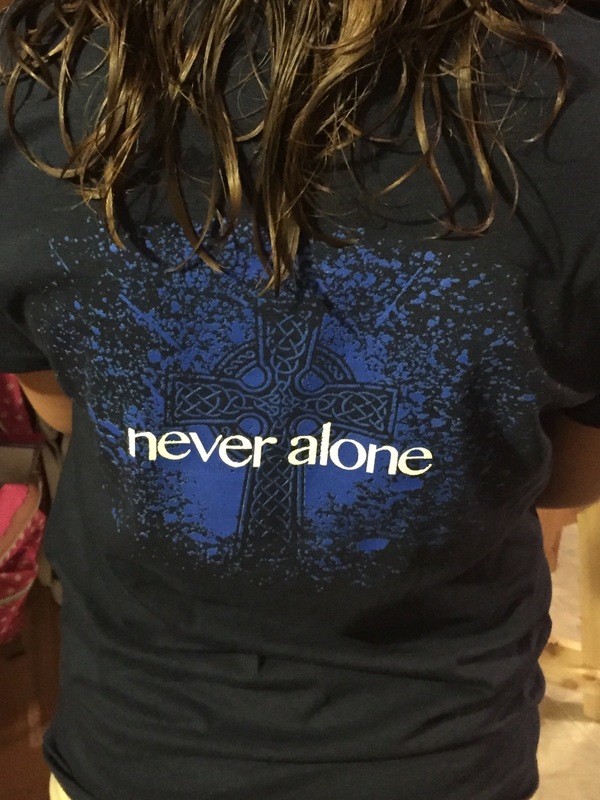 What difference would it make in your life to know that you are Never Alone? No matter the challenges you face, the hardships with which you struggle, or the obstacles you have to overcome… you are never alone. ‘Cause the reality I face is that whether it be from inner turmoil or external chaos… so many times I feel alone. It doesn’t matter how many people may be or not be around me. Things fall apart. People let me down. Circumstances disappoint. From the Old Testament through the New, God proclaims that He will never leave us nor forsake us. What is truly amazing is that nothing in all of creation can separate us from the love of God in Christ Jesus. God is always by our side. In Christ you belong, first to God. Through Christ you are loved in a deep way. Through Christ you’ve been indwelled by the Holy Spirit. Because of this we belong to one another, to community. Together we are meant to grow and support each other. In Christ you have a belonging that extends beyond comprehension. In Christ you have an identity that cannot fail. In Christ you have community beyond disappointment. You, my friend, through Christ are a beloved child of God, lavished with His mercy, filled with His grace and loved beyond imaging. Oh Father God, there are so many who need to know that in you they are never alone. Reach through their hurt, break through the darkness, mend the shattered and broken places with the good news found in you: we are loved. In you we are never alone. In you we have purpose and communion. Communion, the deepest belonging and community. God help us to find ourselves in your love and let that love shape our thinking and guide our living and motivate our loving.